Are you a good gift giver? Well, if you are, you just might be a great marketer too. I’ve always enjoyed the holidays. It’s my chance to show the important people in my life how much I care about them. And I take pride in giving good gifts. There’s nothing that feels better than seeing someone’s smile light up the room as they unwrap my present. I remember the Christmas I decided to get my little sister her very first cellphone. (I think she was the last 16-year-old in all of Florida without one.) And it wasn’t just any cellphone. I splurged and bought the hottest Motorola on the market at the time. I knew the gift was going to be a winner, but I wanted it to be a big surprise. So I also bought her a pair of jeans from her favorite store in the mall and put the cellphone in the pocket. On Christmas day, I presented her with my gift, and she quickly opened it. She seemed really excited. After all, the box was from her favorite store. But before she could pull out the jeans, I reached into my pocket and called her cellphone. When her jeans started ringing, she grabbed her new phone and gave me the biggest hug imaginable. I was recently talking with a friend about gift giving and the holidays, including what makes someone a good gift giver. And it occurred to me that there are a bunch of similarities between good gift givers and good marketers. After thinking about it for a while, I came up with two rules that you can follow to not only become a better gift giver, but also sell more products to your customers. If your little niece Anne is a tomboy, you don’t want to get her a Barbie doll in a pink dress. And your coach potato uncle Tom won’t get much use out of a mountain bike. This is an important rule that most marketers know but still ignore. They confuse “popular” with “wanted by everyone.” That Barbie doll might be the hottest toy of the season, but that won’t make Anne want to play with it. And though that tax preparation guide is your colleague’s best-selling product, it’s not going to interest your e-mail list of dog lovers. Understanding your prospect is the key to getting her a good gift or offering him a product he’ll jump to buy. The best way to find out what your prospects want is to ask them. What are their hobbies, interests, likes, and dislikes? It’s easy to get on the phone with your niece… or shoot an e-mail to your customer. From this information, you can start to understand your prospects’ wants. Then you can put yourself in their shoes. (“If I were an 11-year-old girl who loves to play baseball, what would I want?” “If I had a new puppy that wouldn’t shut up, what would I want?”) By doing this, I can guarantee you won’t buy your niece that Barbie doll or offer your dog-loving customer a tax-preparation guide. A smart company surveys its customers before creating a new product. By listening to what they have to say, that company can better create products based on customer needs and interests. And because they’ve taken the time to listen and come up with a product that meets a defined — rather than perceived — need or problem, that company has exponentially increased the chances of the product being a big hit. Even if you do a good job of getting to know your prospect, you can fall into a big trap. In fact, it’s one of the biggest mistakes both marketers and gift givers make. And it happens when you focus more on what your prospects need, and not on what they want. ETR fell into this trap in the past, too, with an old marketing campaign that was created for a program called The Instant Entrepreneur. Everyone in the office thought the concept was great — giving start-up entrepreneurs all the forms, tax information, legal requirements, etc. they would need to start a business. But when the marketing campaign was released… it fell flat on its face. That’s because ETR made the “wants vs. needs” mistake. What prospects wanted was a quick and easy way to get a business going so they could supplement their income. Sure, they needed the information in our Instant Entrepreneur program… but it wasn’t what they wanted. Are you making this mistake in your business? 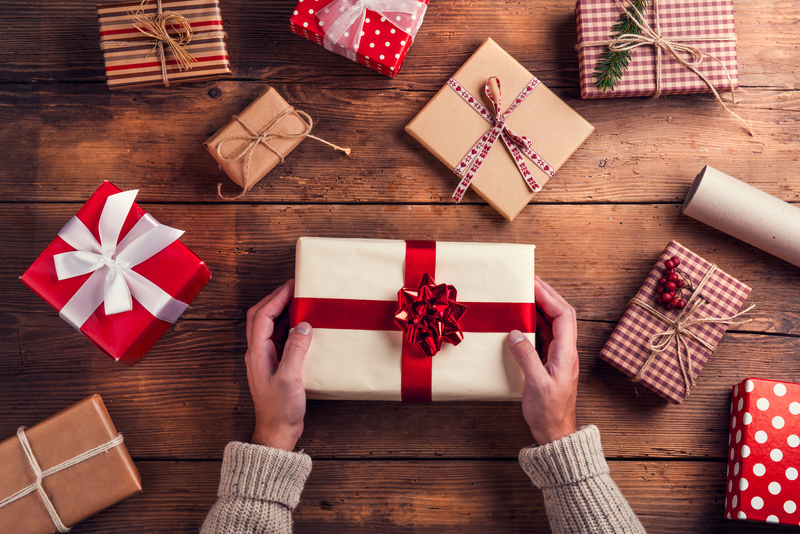 And are you falling into the “wants vs. needs” trap in your gift giving? Fixing this problem is fairly simple. And it goes back to Rule #1. Understand your prospects. Listen to them. Get to know them. Find out as much as you can about them. And then give them what they want. Don’t presume that you know better. What you think is good for them is not always going to be something they’ll want as a gift… and it’s not always going to be something they’ll pay for. 2. Focus on their wants instead of their needs. Editor’s note: This is an edited version of an article previously published on Early to Rise. Patrick Coffey is a former Director of Internet Marketing for ETR and helped create a number of successful products during his tenure with the company. He has also headed up the wealth-building sites League of Power and The Wealth Authority.